So, what makes a shock or strut “active?” For a shock or strut to be active, it must be able to react to three critical streams of information. First, it must act on information from the ABS and stability control system. Second, it must measure body movement. Third, it must detect the extent and rate of suspension movement. 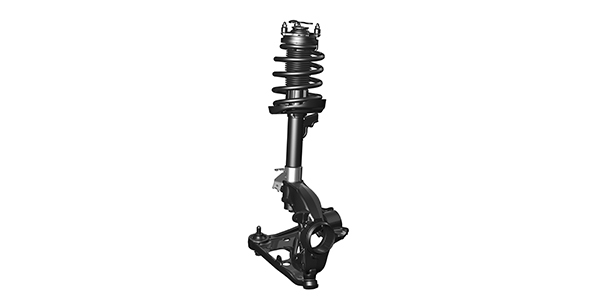 With these three pieces of information, the suspension can actively adjust the compression and rebound of the shock or strut. Electronically adjustable shocks and struts use conventional mono-tube and twin-tube oil-filled dampeners. The rods, gas chambers and piston have the construction of passive units. Like a passive unit, they can fail if they leak, the gas escapes or the rods are bent. They can also wear out like a conventional unit as the oil inside breaks down and surfaces in the bore wear. The valves, with their variable orifices, are what make these units unique. These valves regulate the flow between the chambers on either side of the piston. The piston in some units, however, does not have any valving. The size of the orifices controlled by electromagnetic solenoids can control the valves very quickly. The electrical connections and solenoids are typically found outside the body and act on the valves inside the unit using magnetism. Some systems have a high-speed actuator motor on the top of the strut that rotates a rod that extends down into the shaft. The signal to the solenoid is pulse-width modulated and varies the voltage to change the size of the orifice. 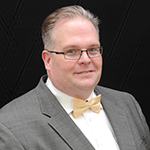 Some valves and solenoids can’t be serviced or separated from the shock or strut. If a problem is detected with the system, the valves go into a fail-safe position that is fixed, and the system becomes passive. The driver is then alerted to the problem with a message or light on the instrument cluster or message center. Ride height sensors not only measure the position of the suspension, but also the rate of movement. They are supplied with a voltage of around 5 volts. The signal voltage is changed as a magnet moves past a coil. Most sensors have three wires — ground, power and signal. Internally, it is difficult to damage one of these sensors. Externally, however, the linkage that connects the sensor to the suspension arm can be damaged. Additionally, the connector can be damaged and cause a short or open that sets a code. If one of these sensors is replaced, it must be calibrated after it is installed. 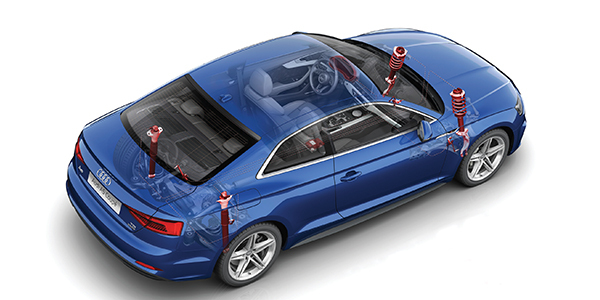 Ride height sensors are sometimes called suspension-position or wheel-displacement sensors. The data from the sensor is used to measure the movement of the suspension. By knowing how far and fast the suspension is moving, the module can use the information to determine the size of the orifice in the dampener to control compression and rebound. These sensors should be calibrated if a sensor is replaced, a module is reprogrammed or if the battery dies. Accelerometers mounted to the body measure changes in the ride. These sensors output information as gravitational forces, or “G-force,” to a module. Changes in body roll due to cornering will produce lower G-force than a pothole would. Information from the accelerometers is coupled with data from the ride-height sensor, steering sensor and other inputs by a computer processor in a module. The module can determine if the vehicle is going around a corner or traveling down a bumpy road. With this data stream, the valving inside the dampener can be adjusted in milliseconds for the best control and ride quality. The accelerometers on the body differ from vehicle to vehicle. Some manufacturers mount the sensors under the headlights, on strut towers and near the taillights. More sophisticated systems use more than two accelerometers mounted in various locations. The control module for the electronic dampeners needs more than the movement of the wheels and body to determine the correct settings for the dampeners. The module uses and shares information with the anti-lock braking system, engine control module and instrument cluster. This information is typically shared on the high-speed CAN serial data bus. On some BMW 7 Series models, the information is shared on the fiber-optic Flex Ray bus. With all of this information, the module can do some amazing things with the adjustable dampeners. Problems like nosedive under braking, torque steer and understeer on FWD vehicles can be minimized. If the vehicle has air ride, the volume and pressure inside the air springs can also be tuned, along with the valving in the dampeners, to optimize ride quality and control.